I.W.W. leaders pause for a portrait during the Paterson Silk Strike, Paterson, New Jersey, 1913. 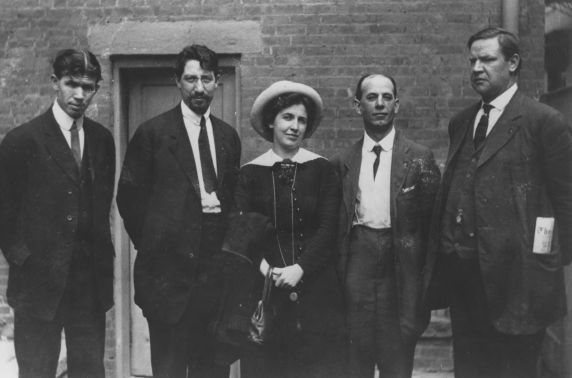 Left to right: Pat Quinlan, Carlo Tresca, Elizabeth Gurley Flynn, Adolph Lessig and Big Bill Haywood.